Catalent recently launched FormProRxTM, an interactive web tool designed to help innovators match formulations to drug delivery challenges. The following will discuss how FormProRx allows users to assess multiple oral drug delivery technologies in order to establish which may be the most appropriate for their molecule. Recent estimates indicate that up to 90% of drug candidates in pharma development pipelines are poorly soluble. 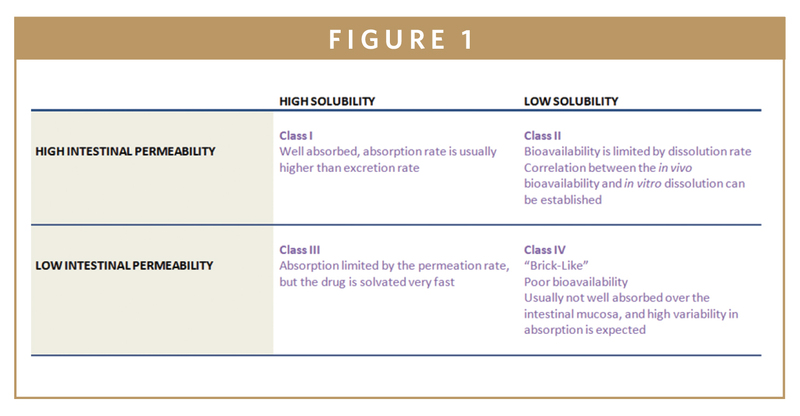 Based on the FDA’s biopharmaceutics classification system, which places pharmaceutical agents in groups based on their solubility and permeability, up to 70% of all NCEs are estimated to fall into Class II, with low aqueous solubility and high intestinal membrane permeability, and up to 20% may be Class IV compounds, with low aqueous solubility and low intestinal membrane permeability. The dilemma facing scientists is to find new compounds that combine activity and acceptable aqueous solubility and permeability for oral delivery. Given today’s pressures to develop new drug products as quickly as possible, the result is often NCEs that show promising activity but have either poor solubility or poor permeability, or both. 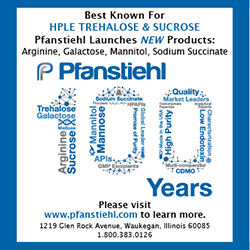 A recent survey conducted by Catalent indicated that 74% of formulation scientists claim to have worked with compounds that are poorly soluble or permeable in the past year. These scientists need to rapidly assess a variety of drug delivery and bioavailability enhancement technologies if they are to meet the regulatory and performance demands of clinicians running trials, as well as global commercial markets if the drug ultimately gains approval. There is therefore a huge need for techniques that facilitate this fast assessment of the advantages and disadvantages of all available technologies if compounds are to be advanced into and through the clinic in a timely manner. R&D teams at pharma companies – or the contract development and research organizations they have contracted to assist them – have a responsibility to use this rapid assessment of formulation technologies as an opportunity to create value for patients, payors and the industry alike. However, some may not consider all available technologies when making their evaluations. This may lead to a program being discontinued when there was a perfectly acceptable solution out there, if only they had the time and technical resource/capability to look more widely. Indeed, many drugs have failed in Phase II, and yet have been revitalized at a later stage, either by an in-house development team or at another company with different clinical goals or commercial aspirations, where scientists have looked more widely for the optimal bioavailability enhancement or drug delivery technology. Furthermore, given the length of time a team works on a single NCE or a formulation, few formulators have the opportunity to gain a truly wide and deep knowledge of all of the drug delivery options that are available to each development program. They may be unaware – or inexperienced in – the perfect technique that would greatly enhance the therapeutic benefit of their molecule, or enable them to deliver it more efficiently. One way in which a pharma company can expand its horizons in this field is to partner with a specialist organization whose focus is the application of bioavailability enhancement and modern drug delivery technologies. These companies may have a wider view of what is possible, enabling the pharma company’s own scientists to work in partnership with them to solve complex drug development problems. A technology-driven company that specializes in formulation will have that deep expertise in product development. Importantly, they will also be well aware of the additional challenges posed by scale-up through later clinical trial phases and on to commercial quantities, and final manufacturing processes – and have the experience required to suggest successful processes. Simple tableting techniques are not always effective, and technologies such as particle-size engineering, hot melt extrusion, lipid-based systems, spray drying, matrix tablets, and beads all offer potential benefits in specific formulation challenges. All of these technologies require experience and expertise if these benefits are to be fully realized. A technology-based formulation specialist will have already experienced the impact of lab setbacks, project failures, and process difficulties, and learnt the lessons these failures provided. Because they have seen projects fail, they are well placed to recommend actions that will prevent failures, will have designed-in program measures to fail weaker formulations at an earlier stage of development and avoid unnecessary cost. In today’s budget-conscious environment, working in partnership with one of these experienced specialists allows the right formulation solution to be identified at a fraction of the cost – and a fraction of the risk – than would be the case had they started from scratch in house. And, of course, being able to access this wider range of formulation “tricks” should not only save time and money, it will allow better treatments to be reliably supplied, to the benefit of patients. In early 2013, Catalent launched the Catalent Applied Drug Delivery Institute, with the aim of developing and promoting better formulation as a means for improving treatment outcomes for patients. The Institute was created to harness the knowledge of the world’s leading experts in drug development, delivery, and formulation, and partner with pharma companies and academia in order to achieve these better treatments. The Institute has already held a number of events in the US and Europe, with headlines that encompass the challenge being discussed such as “Overcoming Bioavailability Challenges”, and where scientists from both industry and academia were brought together in an open forum to discuss challenges facing the products in their pipelines, and the new technologies that might be able to solve those challenges. Another activity the Institute has overseen was a survey of more than 300 formulation scientists. This survey, run in 2013, was designed to gain a greater understanding of the challenges that are currently facing formulators who are looking to bring efficacious drugs to market (Catalent Drug Delivery Survey 2013). The results clearly showed that numerous technical concerns remain when looking to create ways to overcome solubility and bioavailability challenges. The number one issue that came up time and again in the responses received was that not only are formulation scientists increasingly seeing poorly water-soluble compounds in their pipelines, they are also more challenging in nature than was common in the past. The result is poor bioavailability, and if a solution cannot be found, otherwise promising medicines will almost certainly be lost. To achieve acceptable oral bioavailability, the most appropriate and stable form of the molecule must first be identified, and then delivered at a predetermined rate to a specific site in the body. A good example is the behavior of APIs in the gastrointestinal tract. Some APIs that are not orally available in tablet form can be absorbed through the buccal membranes if formulations that disintegrate rapidly can be developed. The API’s physicochemical properties will determine which excipients and manufacturing processes might be utilized to create an acceptable oral dosage form. The challenge facing the industry is to develop a formulation and associated manufacturing process that will meet all the necessary delivery criteria while also meeting demands for a long shelf-life, minimal restrictions on storage (for example, no requirement for refrigeration), and sufficient patent life to make the product commercially viable. In addition, the process and materials used must be optimized to ensure the cost of goods for the final dosage form is acceptable, and does not greatly outweigh the improved treatment value offered to patients. Catalent has developed a patent-pending tool, FormProRx, which enables scientists to investigate how different drug delivery technologies could be applied to problematic APIs, based on the characteristics of the drug substance, and the desired properties of the drug product. Drug discovery scientists have used concepts, such as drug-likeness for many years, in an attempt to reduce the high attrition rates many drug development programs face. Yet, there has still been a rise in the number of molecules with higher molecular weights and higher lipophilicity coming through the pipeline. Such molecules all too often have those solubility and permeability problems baked into them because of their physical properties. If formulators and process development scientists had a tool that was easy to use and allowed them to make a quick assessment of all available technologies, then it would be much easier to pinpoint whether a suitable formulation might be available for any drug candidate, whether produced by in silico or experimental means. The tool allows scientists to input the chemical characteristics of their molecule, and the product specifications they are looking to achieve. The proprietary algorithm produces dose form recommendations, based on 80 years of experience in bioavailability enhancement and applied drug delivery for challenging molecules. Whether the product is an NCE or a reformulation of an old treatment, the web-based tool will almost always be able to suggest new approaches that might improve pharmacokinetics, therapeutic profile, or even patient adherence. The algorithm is broken down into five steps. It is important to note that a “don’t know” answer is possible in most of the steps, which allows the user to work through the whole web tool, even if they are still in the very early stages of synthesis or product development. While clearly a fuller picture of the options will be available if as much information as possible is included, this will assist scientists in making informed decisions about the direction their work should go in next. In the first step, the tool asks for the target product profile, which enables a number of different release profiles and coating systems to be considered that might enable the desired label claims to be achieved. Next, the tool gathers information on the molecule’s solubility and permeability. The third step goes through the various physicochemical properties of the molecule, allowing the tool to assess the formulation challenges that might be expected in achieving the desired dosage form. The most important aspect of this set of questions is the molecule’s sensitivity to a variety of different forms of degradation. It asks the user to choose all of the most common physical and chemical conditions that apply in which the formation of impurities or degradation products would likely be most prevalent. These include hydrolysis, heat, liquid phase, oxidation, light, and moisture, and form the basis for the choice of processing techniques that will be included in the final recommendation. Fourth, the tool goes through questions about expected dosage amounts, and handling classifications in terms of its potency. Finally, information is gathered about how the API will likely be processed, for example milling or salt formation. Optimal API processing can be one of the most straightforward and least costly approaches for enhancing solubility and bioavailability. However, exploiting all available options requires an understanding of the molecule’s acid/base properties, as well as its likely solubility and precipitation properties in the different parts of the gastrointestinal tract. As a result of all this information provided by the scientist, the algorithm creates a set of drug delivery options for further investigation. Its recommendations are split into three groups – best fit, potential, and not an option. This gives the formulation team a starting point to direct their investigations, saving them a good deal of time by discounting some of the options entirely, and pointing them in the direction of the best potential options first. It also provides a brief description of the drug delivery technique in order to facilitate the design of future experiments and validate the results. Suggestions it might present include softgel technology, tablets, capsules (in either immediate-release or modified-release form), hot melt extrusion, or fast-dissolve dose forms. In addition, a molecule profile is generated. This includes a summary of the inputs as a reference that can be shared across a team of scientists. The challenge for pharmaceutical companies is thus how to maximize the bioavailability of molecules that demonstrate activity, but are often poorly soluble and/or permeable in vivo, by selection and careful utilization of the optimal formulation and drug delivery technologies. 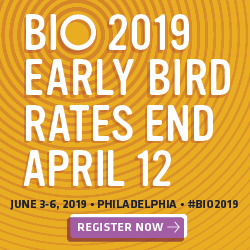 With the development of new drug delivery technologies and strategies for enhancing bioavailability, companies can begin to think about the oral delivery of drugs that currently have to be given via injection, like insulin or calcitonin. Tools like FormProRx can assist in this process, by sorting through all the many potential options and suggesting the best few, a process that should help accelerate a molecule’s path to market. FormProRx can be accessed at http://www.catalent.com/index.php/FormProRx. Dr. Kurt Nielsen has served as Catalent’s Chief Technology Officer and Senior Vice President – Innovation and Growth since February 2010. 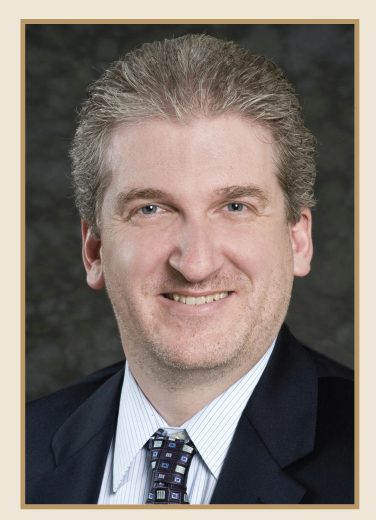 Prior to joining Catalent, Dr. Nielsen was with URL/Mutual Pharmaceutical Company in Pennsylvania as Executive Vice President, Pharmaceuticals. In his role at URL/Mutual, Mr. Nielsen devised the strategy and led the execution for activities in the company’s new product portfolio, employing a variety of business arrangements. Prior to that role, he was Vice President of R&D. Before joining URLMutual, Dr. Nielsen held executive positions with TEVA Pharmaceuticals USA; McNeil Consumer Products; Energy Biosystems, Inc.; Bachem Bioscience; and Hercules, Inc., Arco Chemical Company, and Chubb National Foam. He earned his PhD in Chemistry from Villanova University and his BS in Chemistry from the University of Delaware.